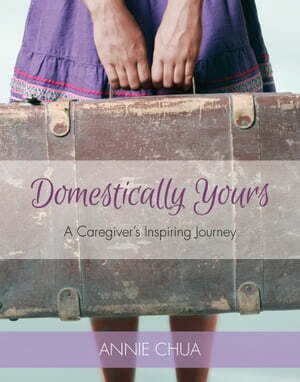 Collins Booksellers - Domestically Yours by Annie Chua, 9781770846463. Buy this book online. In 2003 Annie Chua made the bold decision to join thousands of women working in Canada under the “24 months Live-in Caregiver Program”. Her intent: to create a better future for her children. However, to make her dream come true Annie had to leave her four daughters behind in the Philippines while she travelled to work as a nanny in Fort McMurray, Alberta. Follow Annie’s journey as she encounters homesickness, loneliness, cultural shock and more. Did she make the best decision? Would the sacrifice be worth it? Her story reveals the hurdles she endured as a single mom relentlessly pursuing her dream to bring her daughters to Canada. Her story is sure to inspire anyone who wants to make their own dream come true.